Should British citizens pledge loyalty to Britain? The UK is a country with people from many places. We have no choice but to try to get on with each other. Brexit may enable the UK Government to have greater control over immigration, but lots of people are going to continue to come to Britain from Europe and elsewhere. This is a good thing. We need them. We have an aging population and our economy depends on being able to attract skilled workers from abroad. I didn’t vote for Brexit in order to prevent anyone living here, nor indeed to prevent anyone coming here. I just wanted the issue to be controlled by the UK Government and the UK electorate. But given that the UK is and will continue to be a country with many languages, faiths and identities how are we going to create the necessary sense of unity that enables us to have an identity we can all share? We all remember the tragic story of the Glasgow Muslim shopkeeper who was murdered because he wished his friends a Happy Easter. In response to this Khalil Yousuf a spokesman for the Ahmadiyya Muslim community has suggested that “Not only should we raise the flag, but everybody in the Muslim community should have to pledge loyalty to Britain in schools. There is no conflict between being a Muslim and a Briton.” He is of course correct. Muslims in fact are statistically more patriotic than UK citizens in general. One of the great things about the UK is that everyone who is a citizen is equally British. It doesn’t matter at all where your parents came from. A variant on this no doubt could be devised for the UK. But what of the idea of our being one nation indivisible? This is something that I absolutely agree with. But lots of people who live in the UK don’t agree with me. Who are these people? Well obviously all those people who want a part of our country to become independent or to join another country. Also people like David Cameron who were in favour of giving Scotland a referendum on independence. Likewise Scottish politicians like Ruth Davidson and Kezia Dugdale, who think the SNP should be allowed to have a second independence referendum if they want it, clearly do not think that that the UK is indivisible. These people may hope that the UK is not split up, but their attitude is quite different to that of an American. 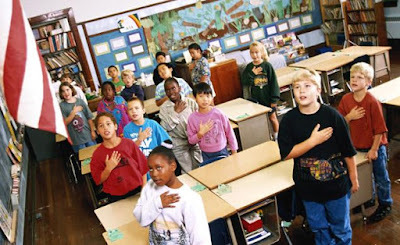 It’s worth remembering that the Pledge of Allegiance was written quite shortly after the United States had fought the Civil War. Children repeated every day that the war was over and secession was no longer an option. There is a case for us in the UK doing the same. Our country was never closer to breakup than in September 2014. If the SNP had won they would have done what no one else could have done in the course of our 300 year history. No-one else could have broken the bonds that until the independence referendum campaign began, most of us had considered to be indivisible. The very act of having such a referendum was to introduce instability into our country and to imply that it faced an existential threat. It did. 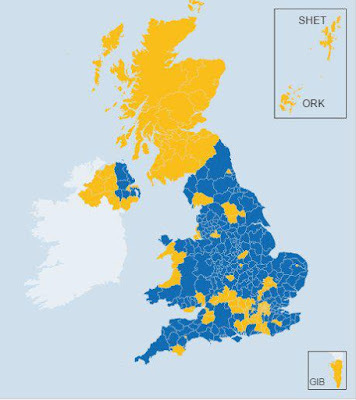 If the SNP had won, we would no longer be what we are now a United Kingdom. How could we even have used that name? William Faulkner famously wrote that every Southern schoolboy got to replay the Battle of Gettysburg with the chance of winning. But he only got to replay it in his mind. He didn’t get to replay it in reality. What the Scottish nationalists want is to replay their “Lost Cause” whenever they please and until whenever they win. But how can we maintain a United Kingdom and a common identity under those circumstances? Better by far, of course, that we settle these matters with a ballot box than with a box of bullets, but no country can live with the perpetual threat of dissolution. The difficulty we have is this though. Imagine that a UK Government thought that it would be a great idea to have such a pledge of allegiance. I can imagine lots of children being encouraged not to repeat such an oath in certain parts of the UK. But this is our problem really. The UK is nation of people with complex and mixed identities. Most of us have family from other parts of the UK or other parts of the world. What unites us is that I can say that I am Scottish and British. Someone else can say that he is Polish and British while someone else can say he’s Jamaican and British. Our shared identity depends on the fact that we are all British. Without it we don’t even have a shared country let alone a shared loyalty. Everyone who becomes a UK citizen in fact does have to take an oath: “I will give my loyalty to the United Kingdom and respect its rights and freedoms. I will uphold its democratic values. I will observe its laws faithfully and fulfil my duties and obligations as a British citizen.” But why should this oath only apply to those who become UK citizens? Should it not apply to everyone who is a British citizen? It is clearly discriminatory to expect a promise from someone who comes to live in the UK that we would not expect of someone already living here. What do you call someone who makes a pledge to a country and then breaks it? What do you call someone who is not loyal to their country? The UK Government in requiring new citizens to pledge an oath is trying to maintain the cohesion of the UK and trying to show that such people are equally British as anyone else in the UK. It is only in this way that we can forge a common identity amongst people from many places. The problem is that these attempts are being continually undermined by those British citizens who deny that they are British and who have no loyalty whatsoever to the UK. Anyone who pledges to give his loyalty to the UK who subsequently campaigns to break up the UK is obviously a liar. But if we think this through then this oath really applies to all of us. How can an oath be expected of one set of British citizens, who happen to come from elsewhere, that is not expected of others, who happen to have been born here? The condition for receiving a UK passport ought to be that everyone has to make this promise. Anyone who can’t pledge allegiance to the UK or who feels no loyalty to our country would of course be free to renounce their UK citizenship. If you don't feel British, then why should you expect to receive any of the rights that go along with being a British citizen? Accepting those benefits under those circumstances makes you a hypocrite. Campaigning to destroy the UK while accepting its protection is an act of perfidy that simply would not be tolerated in most countries of the world. Try threatening the existence of the United States or insulting their flag and you'll quickly find out how Americans respond to that sort of behaviour. We live in dangerous times and our country needs unity in order to face together the challenges and the threats that we all share equally. It is right and proper that the Government requires people who arrive in the UK to be loyal to our country. It is dangerous if they are disloyal. But the problem is not so much with those who have come to Britain. Most of them do feel British. They love the UK and are just as loyal to our country as someone who can trace his ancestry back generations. But those hundreds of thousands of people who have always lived in the UK but refuse to accept that they have a dual identity ought to reflect on the sort of example they are giving to those who have just arrived. How can someone who denies that he is Scottish and British expect someone from Pakistan to say that he is Pakistani and British? How can such a Scottish nationalist expect a British citizen who has just arrived from Nigeria to respect the Union Flag when he himself doesn’t respect it? It is in this way that the various nationalisms in the UK undermine the cohesion that we so desperately need. How can we expect new arrivals to be loyal to our country if those who have been here for centuries have no loyalty, no patriotism and in the end no honour. Whether it is a good idea to have children, or indeed the whole population, recite an oath of allegiance is another matter, but Scottish nationalists could certainly learn a lot from the Ahmadiyya Muslim community. There is a pattern to conversations with Scottish nationalists online. At some point the same old arguments are repeated. It is these arguments above all that mean that there is very little common ground between Pro UK people in Scotland and those who would prefer that Scotland became a sovereign independent nation state. One of the reasons that it is so difficult to interact with Scottish nationalists is that they speak a different language to the rest of us. I don’t mean that they try to write in Gaelic or in Scottish dialect, though some of them do. What I mean is that certain ordinary words are used quite differently by Pro UK people and their opponents. The words that are most contentious are “country”, “nation”, “United Kingdom”, “Britain” and “British”. It’s because we have no agreement on these words that we cannot hold a civil conversation with each other. I have long argued that when we use words like “country” and nation” we do so in different senses. Scotland correctly is called a country and a nation, but it is not a country or nation in the way that the United Kingdom is nor indeed in the way that France or Japan are. Scotland is not a sovereign, independent nation state. This is all very straightforward. But crucially Scottish nationalists deny something that is self-evidently true, that the United Kingdom is a country in the same way that France is, while asserting something that is self-evidently false that Scotland already is a country in the way that France is. This means that they continually beg the question or assume what they are trying to prove. When I point out that in any democracy a part will sometimes vote differently to the whole and that this would also be the case in an independent Scotland, I always find the same objection made, but Scotland is a country. Quite so. But this argument only has any force if Scotland were already an independent nation state. In the United Kingdom we have national elections that cover the whole of our country. In this context it makes no more difference that five million people in Scotland vote differently to the UK as a whole than that five million people in Yorkshire vote differently. Why are the rights of people from Yorkshire less important than those from Scotland? Ah, because Scotland is a country, but Yorkshire is not. But this would only matter if the relationship between the parts of the UK were international. It would only matter if when I travelled from England into Scotland I were crossing an international border and going abroad. Given that our relationship remains national it is simply unjustified to point out that Scotland is a country in order to complain about election results we don’t like. When we say Scotland is a country, we really mean that historically there was a country called Scotland which has retained a rather different identity from the other parts of the UK. But this is not unusual. There are differing identities all across Europe. There are places that once were independent sovereign nation states and the people from those places have both a separate identity and a common identity. I can feel both Bavarian and German, Sicilian and Italian, etc etc. Scottish nationalists routinely treat the United Kingdom as if it were a collection of independent, sovereign nation states. It is for this reason they say that the UK is not a country or a nation. They see the UK as being like the EU or the United Nations. But amusingly if that were the case Scotland would already be an independent state? Why then struggle to gain something you already have? It is this above all that shows the circularity of Scottish nationalist reasoning. Nicola Sturgeon assumes that Scotland already is independent, for which reason she travels to Brussels as if she had exactly the same status as Angela Merkel or François Hollande. She then discovers that in point of fact she is the leader of a regional parliament with no more competence to negotiate internationally than the leader of Saxony or Burgundy. She must have known this already so why did she go. The reason is that the argument for Scottish independence depends on this circularity. Without it there would be no argument. It’s only because so many Scots assume that Scotland is a country in the same way that France is, that there is even a debate about independence. What do we call someone from the United States? We usually call them an American. What do we call someone from the Netherlands? They are usually called Dutch? What do we call someone from the United Kingdom? A United Kingdomer? We could but that would be an odd way of speaking. We instead call them British. Anybody who is a citizen of the UK is called British citizen. Yet I routinely come across Scottish nationalists who deny that they are British. This is exactly the same as a German citizen denying that he is German. Sometimes they claim to be Scottish citizens. But once more this is to assume what they are trying to prove. If Scotland became a sovereign, independent nation state, there would be such a thing as Scottish citizenship. Claiming that you already are a Scottish citizen is to assume that there already is such a state while arguing that there ought to be one. Once more the typical Scottish nationalist argument shows itself to be obviously circular. But what is it to be British? Many Scottish nationalists deny that there is any such thing as being British. This usually takes the form of once more denying that there is a sovereign independent nation state called the United Kingdom? How am I supposed to argue with someone who denies the existence of something that obviously does exist? It’s like going to Germany on my holidays and telling the Germans that there is no such thing as Germany, but only Saxony, Bavaria etc. Sometimes Scottish nationalists maintain that the word “British” refers to the island of Great Britain which they think is a geographical term similar to Scandinavian. But again this is to fail to realise that there is no independent sovereign nation state called Scandinavia, but there is one called the UK. Italy is a peninsular and at one point Metternich said “The word 'Italy' is a geographical expression”. That may well have been true when he said it in 1847, but it is not true now. It would be absurd and indeed offensive to tell an Italian today that his identity is merely geographical. But what is it that unites Italians and gives them a common identity. One thing that unites them is a shared culture. But what is this shared culture? How can I define it? Here we immediately come up against a difficulty. How do I define a shared culture without listing things that are either common to everyone in the world or are instead clichés? I could list some things that I think are typically Italian. They eat pasta and pizzas. They drink expresso coffee. They love football. They are romantic and emotional. But all of these qualities are stereotypical. Each of them is also shared by many other people in the world. In Italy moreover there are many dialects and in each part of the country there are different cultures and traits. Yet when I go to Italy I immediately recognise that there is something different about it from Britain. I may have difficulty pointing out exactly what it is, but it would be absurd to deny that Italy had a shared culture or indeed that it had a culture at all. It would be like saying Japan didn’t have a culture. How do I define Scottish culture without descending into tartanry? Most of the things that are taken to be typically Scottish are not a part of our everyday lives. Few Scots play bagpipes on hillsides or speak like Robert Burns. Yet no one sensible denies that there is a Scottish culture that is somewhat different from the other parts of the UK. The same goes for British culture. Visitors to the UK will find much that is common between the parts of the UK while recognising some differences. But is it possible to define British culture in a way that avoids cliché and which incorporates the identities of people from England, Wales, Scotland and Northern Ireland? In Britain we love defeat more than victory. We celebrate the Charge of the Light Brigade and the defeat at Dunkirk while other countries forget these things. If you go to the Second World War Museum in Moscow you’ll find no defeats mentioned. Even the response of Scottish Nationalists to defeat in 2014 was typically British. We came so close just like in 1745. We had a glorious defeat just like Culloden. If we have a victory we prefer it to be a “close run thing” like Waterloo or the “narrow margin” like the Battle of Britain. In sport we are almost the only country that celebrates the gallant loser. We alone think that taking part is more important than winning. When I’m at the bus stop most Brits take note of where they are in the queue and try to get on the bus in that order. We try to be fair to those we’ve never met and may never meet again. On the bus we never talk unless a crisis happens in which case we overcome our reserve. Compare busses in Italy. We are prudish yet promiscuous. It is the combination of opposites in the British character that is so unusual. See also the combination of politeness and aggression. We are anti-intellectual. There isn’t really an intelligentsia in Britain. We favour empiricism over reason, which means our philosophers use common sense like Hume, Locke and Reid rather than abstract reasoning like Kant and Hegel. We rarely learn foreign languages. I have hardly ever met a Brit who has taught himself a foreign language and reached fluency. The only bilingual Brits I know were either brought up that way or studied languages at university. We are defined by our language which has spread Britishness all around the world. Wherever that language is spoken as a mother tongue there we find a culture that we recognise and share. This is what British culture is. If you go to New Zealand, you’ll find some things that are different, but much that is the same. I have far more in common with Canadians, Americans, Kiwis and Aussies than I do with anyone from Europe. It would be straightforward for me to work in any of these places and almost nothing about the culture would seem strange to me. This is because we share our British heritage and have kept our common culture just as we’ve kept our common language. For a Scot to deny he is British is to deny what he shares with much of the world. British people are indifferent to food and therefore our food is indifferent. I have almost never seen a British restaurant when I’ve been abroad. The idea of a British restaurant seems absurd, yet everywhere there are French and Italian restaurants. In almost all of the rest of the world people drink either wine or yellow beer. In Britain we also have brown beer that is fermented with top-fermenting yeast rather than bottom fermenting lager yeast. Until recently no-one other than the Belgians brewed in the way that we do. British people get drunk in a unique way. The French and the Spanish drink wine slowly with food. They may drink more than we do, but you wouldn’t notice. The Russians on the other hand may not drink every day, but once you open a bottle of vodka it has to be finished. Such bottles at one point came with caps like our beer bottles. On holiday you can always spot the British by their unique form of drunkenness, sunburn and terrible clothes. What defines British culture is our shared history and tradition stretching back hundreds of years. Russia abolished serfdom in 1861 and has never really been a proper democracy. Corruption was endemic during the time of the tsar, during communism and under Putin. In Britain we developed free markets and free trade centuries before anyone else. We haven’t had peasants let alone serfs since the Middle Ages. We started on the path to democracy earlier than anyone else. Our monarchy was limited by parliament when nearly every other European country still believed in the divine right of kings. It is for this reason that I do not expect a policeman in the UK to be corrupt. I expect to be fairly treated if I have a dispute in business. It is also for this reason that we settle political difficulties with elections and with parliament. While everyone else in Europe had revolts we did not. It is this that we share in the UK and also with most other countries that share our native language. 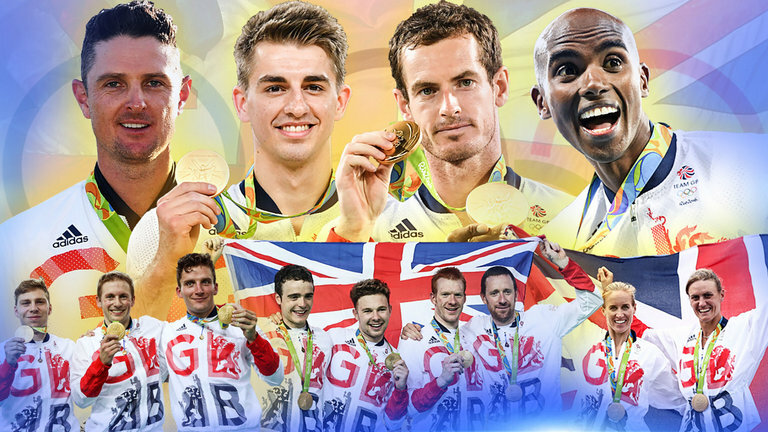 Because we are confident in our British identity we rarely feel the need to boast about it. The difference between an American and a Brit is that the American continually needs to go on about how great America is. Because of this confidence we also celebrate eccentricity. We like to do things that are pointless such as climbing Munros. We like collecting and we can be obsessive. But the combination of these traits can give rise to fine thinking just as it can give rise to follies. It was British scientists who invented the bouncing bomb and the D Day funnies. It is that combination of eccentricity and obsessiveness that leads us to invent so many things. A Scottish nationalist who denies his Britishness is denying not only what he shares with other people in the UK, he is denying the very words that come out of his mouth with which he makes the denial. It is Britishness that created the language with which most of the great Scottish thinkers and writers thought and wrote. A Scottish nationalist in denying his Britishness is therefore perversely denying himself. We only speak the language we do in Scotland because we are part of the UK. I can only with difficulty understand either of the languages of Scotland prior to the Union. That is a faraway place of which I know nothing and understand less. If Scotland had not joined the UK we would now either be speaking Gaelic or a Scottish language that was as different from our own as Dutch is from German. To regret the Union is to regret that I am what I am and that I speak and think as I do. Rejecting Britishness is to reject me. I cannot even express this act of rejection without self-contradiction for I quite literally don’t have the words. Britain is a great country which has contributed as much to the world as any other and more than most. It is our country. This is the only argument we need to defeat the SNP. The world speaks our language and celebrates our culture. Yet some Scots would pitifully deny that any of this is theirs. They would do this because of an argument that doesn’t even recognise that it begs the question. They would do it because they can’t bear to share anything with the other parts of the UK, not even a shared country. I sometimes think that Scottish nationalists would prefer we didn’t even share a language with or nearest neighbour, because they can’t quite bear what it is called. The SNP are planning another so called “National Conversation” on whether Scotland should leave the UK. It was supposed to happen this summer, but has been put off for a while because of the UK’s decision to leave the EU. 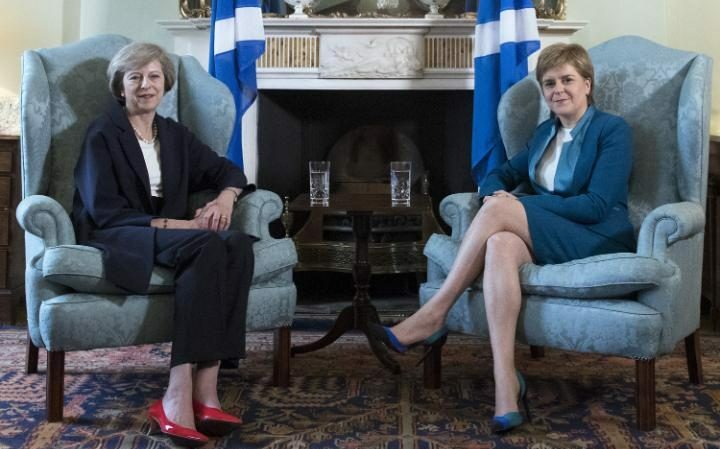 It’s crucial therefore to realise that even if the UK had voted to remain in the EU, the SNP would right now be trying to persuade us that we ought to have a second independence referendum and that we ought to reject the Union we’ve been in for more than three hundred years. The arguments that Nicola Sturgeon and others made about the European Union for some reason don’t apply to our own Union of the UK. She’s happy for Scotland to be in a union with Slovakia, France and Sweden, but can’t bear the thought of our being in a union with England, Wales and Northern Ireland. What has she got against our fellow Brits? On the other hand the arguments made by the Brexiteers, about sovereignty, regaining parliamentary control and indeed independence, are just the sort to appeal to Scottish nationalists. I think the UK has always been independent even while being in the EU. It is for this reason alone that we didn’t need to ask anyone but the British people if we could leave. But I can also see that we will regain a measure of freedom from the control and influence of the EU. The laws we make in our parliament will be supreme and will not be subordinate to those made by unelected bureaucrats in Brussels. It’s obvious why these sorts of arguments might be supported by Scottish nationalists. This is one reason no doubt why 36% of SNP supporters voted to leave. We are all somewhat contradictory. It is in our nature as human beings to be so. I supported one Union (the UK) while voting against another (the EU). Some Scottish nationalists thought the condition for the possibility of genuine independence was leaving the EU, others didn’t. In general most of us in Scotland, apart from fanatics, can see pros and cons about the EU just as even some more moderate Scottish nationalists can see pros and cons about the UK. But if we are to have a conversation it is important that the SNP listens to alternative points of view and also provide answers. We know that there are SNP supporters who want independence come what may. But the conversation cannot only be with them. It must also be with those who are content indeed happy with our present arrangement in the UK. Here are some of the questions I would like the SNP to answer. 1. Why are you assuming that a Scottish vote for Remain justifies a second vote for independence? In Scotland around two million six hundred thousand people voted in the EU referendum. The gap between Remain and Leave amounted to six hundred thousand people. But over two million Scots voted less than two years ago to remain in the UK. The number of No voters in 2014 (2 million) is much higher than the number of Remain voters in 2016 (1.6 million). Crucially it is not possible to argue that the Remain voters in 2016 are Scottish independence supporters. Many of them clearly were not. Many would be horrified at the idea that the SNP would use their votes to justify Scottish independence. Turnout in the EU referendum (67%) was much lower than in the Scottish independence referendum (84%), which suggests that the EU isn’t as crucial an issue to Scots as remaining in the UK. Moreover, we know that a sizeable proportion of Leave voters in Scotland support the SNP. These people no doubt are happy that the UK is leaving the EU. The SNP therefore has to discount the wishes of a third of their own supporters in order to justify a second independence referendum. It’s worth remembering too that those Scots who are happy with the result, Leave voters, plus those who are indifferent (abstainers amounting at least to the difference between the turnout for the Scottish independence referendum and the EU referendum) considerably outnumber those who voted to Remain. The fact is that we were voting on radically different things when we voted in 2016 and when we voted in 2014. It is therefore unjustified to use our vote this year as justification for rerunning our vote of two years ago. The fact that we chose to remain in the UK implies logically in and of itself that we were willing to accept the result of UK national elections. If that had not been the case we would have voted for independence. Apart from demonstrating once more that they are poor losers, why are the SNP complaining? 2. How can the SNP now justify the fact that whenever there is an election campaign they say that it is not about independence? If the SNP had made clear during their campaign for the Scottish Parliament elections that they would be arguing for a second independence referendum within a few months, it is likely that they would have won still fewer seats than they did. Likewise if the Scottish Greens had made clear that they would support such a bid for independence, they too would have attracted very few votes from people who support the UK. Nicola Sturgeon also said that the EU referendum was not about independence. It becomes clear that nothing is about independence until it is. The SNP cannot be allowed to keep saying that an election is not about independence only later to use that vote to justify a second independence referendum. This is fundamentally dishonest and anti-democratic. 3. What would the SNP do if the UK Government continued to argue that it has already had its independence referendum? Constitutional matters are reserved to Westminster. Therefore any legal referendum would require permission. The Edinburgh Agreement would give the UK Government the right to at least delay any future second referendum. Whether they would do so or not is a matter of speculation. But what would the SNP do if their wishes were denied? It’s all very well Alex Salmond talking about Theresa May not messing with the Scottish people, but what practically speaking would he suggest? Would the SNP attempt to stage a referendum without permission? Would this be legal? What would they do if Pro UK people decided to boycott such an informal poll? If they won such a poll, would they make a Unilateral Declaration of Independence? Would they stage a revolution? It’s all very well the SNP making threats, but the Scottish people deserve to know to what lengths they are willing to go to reach their goal. 4. If Scotland became independent what currency would we use? It will not be possible for Scotland to use the UK pound if Scotland is in the EU while the UK is not. In the short term this will mean Scotland setting up its own currency and Central Bank and then later joining the Euro. Some countries like Sweden have promised to join the Euro but show no intention of doing so. But in the process of joining the EU if it became clear that Scotland had no intention of fulfilling its promise, it is hard to imagine the EU looking on our application favourably. The problem for Scots is that our mortgages are in UK pounds. If a new Scottish currency fell in relation to the UK pound our debt would consequently increase. This would likewise be the case for any share of the UK national debt that Scotland took on or indeed any debt held by Scottish banks. How can the SNP guarantee Scots that we wouldn’t lose out through falls in currency given that our borrowing now is in UK pounds? This would be far more serious to our finances than the present fall of Sterling in relation to the Euro as few of us borrow in Euros. 5. Would Scotland have to join Schengen and would this mean that there would have to be a manned border between Scotland and England? All applicants to the EU have to promise to join the Schengen border free travel zone. The UK and the Republic of Ireland have an opt out from this which means that it ought to be possible for the Northern Irish border to remain open even if the UK is not in the EU while the Republic is. But would Scotland receive such an opt out? We don’t know. But the EU is trying to become more united and there are suggestions that there will be no more opt outs. Given that the UK voted to leave the EU partly to stem migration, the likelihood must be that Scottish independence would lead to a manned border with England. This is because there would be no passport controls between Scotland and the EU. How would this manned border affect trade with the other parts of the UK? How would it affect people in the Borders who travel regularly to England? Might some of them end up being late for work? 6. How would Scotland be able to maintain our present lifestyle if we lost both the money from the UK Government (The Barnett formula) and had to cut our deficit from 10% to 3%? The SNP is continually optimistic about Scotland’s economic prospects. There are lots of good things about the Scottish economy, but this must not mean that we duck the hard questions. Scotland receives a considerable grant each year from the UK Government. The SNP has fought hard to retain it. But we wouldn’t continue to receive it after independence. Moreover, in order to join the EU we would have to cut our deficit from 10% at present to 3% and we would have to pay our subscription to the EU without any chance of receiving back our present rebate. The SNP pretend to care about the poorest in our society, but it is precisely these people who would be hit hardest by independence. Public spending in the UK has in fact increased under the present Tory Government, yet it has been called austerity. What word would we use to describe the cuts to public spending which the SNP would need to make in order to achieve their dream of independence? 7. Why would Scotland want to stay in a trading bloc (the EU) with which we do 14% of our trade, but leave the UK with which we do 64% of our trade? It would be a disaster economically for Scotland to leave the UK’s internal market. It is this and this alone which allows insurance and banking firms in Edinburgh to do business with people in other parts of the UK. How many of us have a current account with a French bank or take out insurance from a Polish broker? We do so much trade with the other parts of the UK precisely because we are in the same country. We all hope that free trade will continue between the EU and the UK, but we do not yet know what sort of deal will arise from negotiations. It is perfectly possible that the EU might charge tariffs. If Scotland were in the EU, we would have to apply those same tariffs to our trade with the other parts of the UK. Would that help or hinder the Scottish economy? 8. How would Scotland make a profit from North Sea oil at present prices? The shale revolution has made the cost of extracting oil much less than it once was. This fundamentally is the reason for low prices today. But it is always going to be cheaper to obtain oil from shale than from drilling under the North Sea. This means that although there may still be a lot of oil left in the North Sea it is hard to make a profit from it. This is now not a short term fluctuation of the oil market, but a long term change in the fundamentals. The break even point for North Sea oil is more than the cost of drilling. Future profits from North Sea oil rigs taken together with the cost of decommissioning them means that far from being a bonus oil may very well turn into a liability. How can the SNP plan for the future when they have no idea what the price of oil will be? They got the price spectacularly wrong last time. Do we really want the future of Scotland to depend on guesswork? 9. Do we know how long it would take for Scotland to join the EU and under what terms? There is little doubt that an independent Scotland would eventually be allowed to join the EU. There might however be some obstacles in the way. We would have to overcome the objections of Spain. When Kosovo became independent in 2008 it received the recognition from many countries, but not from Spain, which does not like to recognise newly independent countries, because it fears that this will encourage separatism in Catalonia. Of course, if Scotland became independent by means of another legal referendum Spain might be persuaded to allow Scotland into the EU. If on the other hand there was any sort of unilateral declaration of Scottish independence, it is unlikely that anyone in the EU, let alone Spain, would look favourably on our application. The terms of Scotland’s membership would depend on negotiations. But it’s worth remembering that Scotland’s population amounts to one hundredth of the population of the EU. Scotland has to leave the UK prior to even beginning negotiations with the EU. But under those circumstances we wouldn’t have much choice but to accept whatever deal from the EU we were given. What alternative would we have? Would the SNP describe this as a leap into the dark or are they able to explain when and under what terms Scotland would join the EU? 10. How much would it cost to set up a new independent sovereign nation state called Scotland? We know that Scotland would have to severely tighten its belt in order to leave the UK, but at the same time we would have set up costs. We’d need some sort of armed forces. We’d need some sort of international diplomacy. We’d need a means of taxing our population and paying benefits. This issue was debated during the last referendum, but it still requires an answer. Some people think the cost could be between 1.5 and 2 billion pounds. So in addition to all the cuts we would have to make, we would have additional costs too. One of the main benefits of being in the UK is that we share the costs of things like the DVLA, HM Revenue and Customs, the British Army, Navy and RAF. Scottish independence means losing all sorts of economies of scale. How would this make us better off SNP? 11. What will the EU look like in ten years? The SNP is privileging EU membership over UK membership. They think that being in the EU is a better bet than being in the UK. But do we actually know what the EU will be like in a few years? The EU has two major structural problems Schengen and the Euro. Both of these are crucial for the future development of the EU. If you are in favour of the EU you really ought to be in favour of both. The problem with Schengen is that EU countries are closing their borders. Eastern European countries in particular are unwilling to accept migrants. They are willing to erect fences to stop them. How does the EU resolve this? Does it force Poland and Hungary to allow free movement of people? We just don’t know. We are all familiar with the trials and tribulations of the Euro. There are only two options that can work long term. Either the EU becomes something very similar to a Federal United States of Europe or it breaks up. Unless and until the EU gains political and fiscal union the Euro will remain dysfunctional. At the moment the Euro is a recession machine that is impoverishing Southern Europe. Fiscal transfers must be made from the richer parts of the EU to the poorer parts, just as they are made in the UK at present. The alternative to this is that everyone goes back to their own currency. What is going to happen? We don’t know. The Euro may muddle along, but sometime soon a new crisis will develop that will make the EU decide either way. What of Scotland? How much independence would Scotland have in a new nation state called the United States of Europe? Not much. We would be outvoted by any EU Parliament. Why complain about being outvoted by Westminster if you just join a new nation state which will outvote you even more? Do Scots want to transfer their money to Italy, Greece and Spain and indeed to countries that are much poorer than these in Eastern Europe. Many Scottish nationalists over the years were unwilling to share “oor oil” with other parts of the UK. Why then should they be willing to transfer Scottish money to anyone in Europe who is poorer than us? If we were involved in a transfer union in the EU, how would this affect living standards in Scotland? On the other hand what if the Euro is destined to fail? I don’t think it will, but it might. If I had savings in UK pounds, which were then turned into Scottish pounds, which were then turned into Euros and finally turned back into Scottish pounds again, I would end up losing a huge amount. It would be like going round the bureaux de change so as to turn my money into dollars, then yen, then rupees and then back to pounds. This is one of the best ways to lose money I can think of. Can the SNP guarantee that this would not happen to my savings over the course of the next few years? Some people want independence come what may. They want it so much that they don’t care what it costs. But the rest of us want answers from the SNP. There’s no use having a conversation if it remains one sided. The SNP has a perfect right to be optimistic about Scotland. I share that optimism so long as we remain part of a post Brexit UK that I think has a bright future. Certainly the UK faces far less uncertainty than an independent Scotland would. But if the SNP wants to make the case for independence it’s no use seeing everything through tartan coloured glasses. They need to start answering the tough questions otherwise we may conclude that they are just talking with themselves.